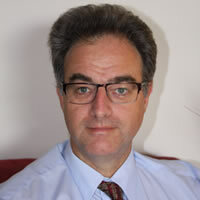 Michael Fink is a surgeon specialising in General Surgery and Hepato-Pancreato-Biliary Surgery (which involves diseases of the liver, bile duct, gallbladder and pancreas). He operates at Warringal Private Hospital and the Austin Hospital and is a surgeon on the Liver Transplant team at the Austin Hospital. He is also a senior lecturer in the Austin Hospital Department of Surgery, the University of Melbourne. He performs laparoscopic (key hole) cholecystectomy (removal of the gallbladder), laparoscopic and open hernia repair, laparoscopic and open liver resection, as well as surgery involving the bile ducts and pancreas. 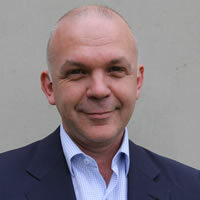 A/Professor Paul Gow is Deputy Director of Gastroenterology and Liver Transplant Medicine at Austin Hospital and works in private practice at Warringal Medical Centre. Paul investigates and treats all gastroenterological disorders and has particular interest in the area of liver disease (viral hepatitis, fatty liver disease and auto-immune liver diseases). 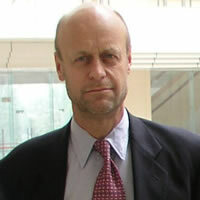 Professor Robert Jones AM is Director of the Victorian Adult and Paediatric Liver Transplant Unit and a Professorial Fellow of the University of Melbourne. The Transplant Unit is based at the Austin Hospital and the Royal Children’s Hospital in Melbourne, and has performed over 900 liver transplants. Dr Georgina Paizis graduated from Melbourne University in 1990 with honours. She spent her undergraduate and post graduate career at the Austin Hospital and was admitted to the Royal Australian College of Physician in 1998. She performs endoscopic procedures (gastroscopy and colonoscopy) at Warringal Private Hospital, John Fawkner Private Hospital and Essendon Private Hospital.